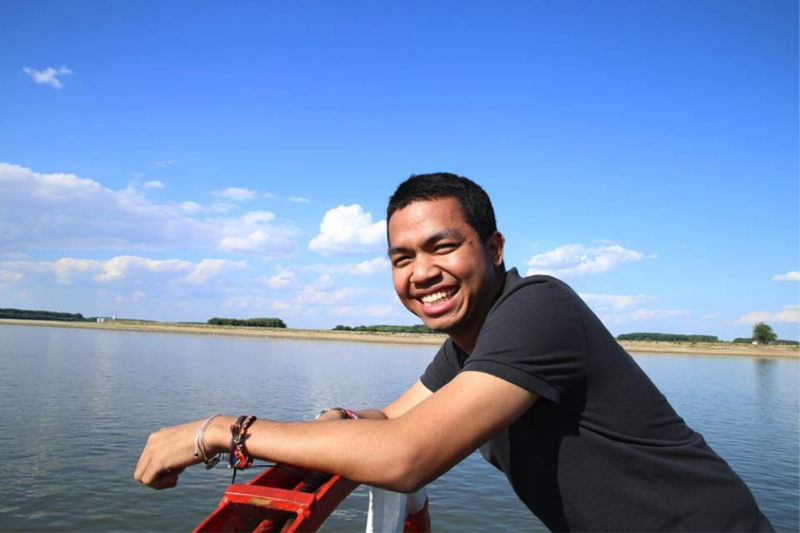 John Rorimpanday was just an uninspired student before he joined an AIESEC program to be a trainer for children from elementary school to high school level. Going to Poland and Romania to be a trainer was his first experience as a volunteer. He never knew the unenthusiastic decision he took will take him on a journey which he now considers the best decision of his life. John was a law student who was about to graduate when he applied for the AIESEC (Association internationale des étudiants en sciences économiques et commerciales) program. He decided to join AIESEC because his friend asked him to do so. He accepted his friend’s request because he thought that it would be really cool and fun if he traveled abroad together with his friend. By the time when he had done all the procedures to be accepted by AIESEC, unfortunately his friend had to resign. Despite his friend’s resignation, John still continued his program. 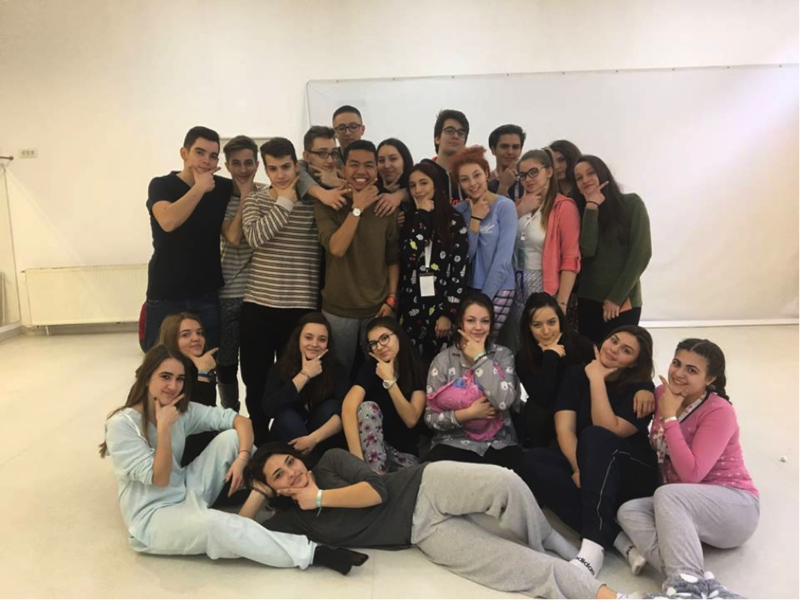 The project was called GROW and he got to teach primary school kids in Pitești, Romania about soft skills and culture. As the program started in the middle of January 2017 and John’s graduation was in October, his mom suggested him to take more programs. “I took 1 more program, as suggested by mom. I had 2 programs, so it would not feel expensive, nor a waste of money,” John said. He applied for another program in Poland, where he had the same job. 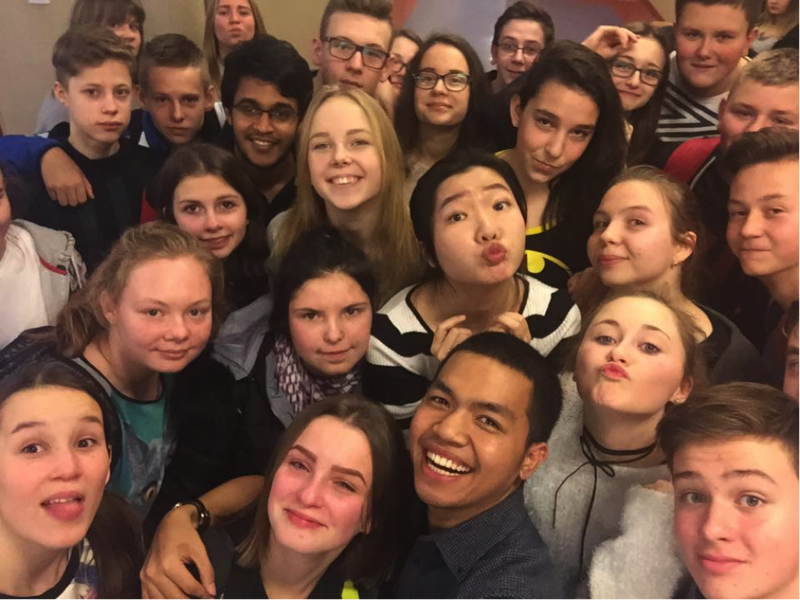 A week after he went to Poland, he started teaching there for elementary students. He got an offer to teach junior high school students and he accepted it, although he knew it would be challenging for him. “Somehow when my participants were older, it became so much fun. I really enjoyed telling them about my country and my culture. Even though I was with them only for one week, at the closing ceremony of the program I cried so hard. Despite their lack of English skill, after all we knew that this was a farewell, we cried as we knew we were not going to meet in the near future and every moment was so precious. It was for the first time when I felt the satisfaction of being a teacher,” John said. 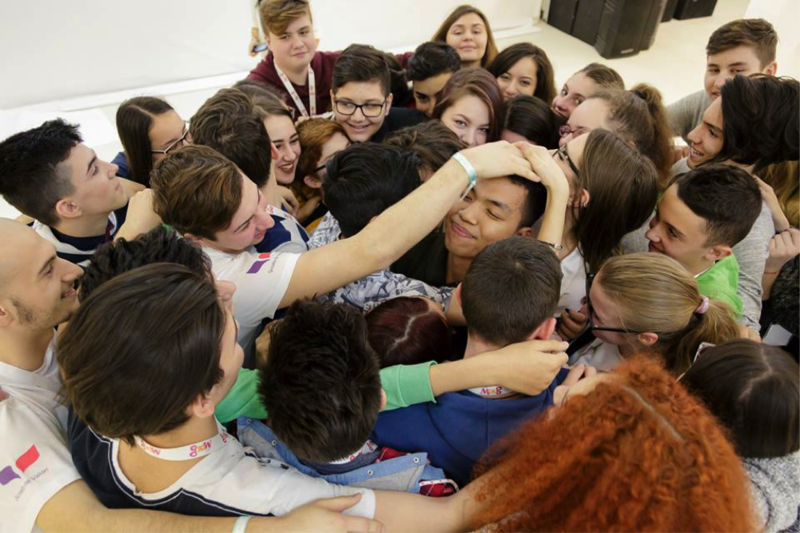 A week after the closing ceremony program, John got a call from the committee of his AISEC program in Romania. He got an offer to teach high School students instead of teaching in a primary school, because his CV didn’t match to teach the requirements to teach at a primary school level. His experience in Poland inspired him to take the offer and he also believed that chances like that don’t come that often in life. He flew to Romania alone and went to Predeal, a town in Romania where he and all the other trainers who were going to teach in Romania took part in a 1 week training themselves. He met many foreigner trainers there, it was much diverse than when he was in Poland. Unfortunately, he got overwhelmed by that. “I felt so less when I was surrounded by many foreigners. I was bashful, unwilling and I knew I wasn’t 100% on my feet. I didn’t learn that much there,” John remembered. A week after that, John went to Pitești to start his program. “I told myself that I wasn’t myself during that week in Predeal. I’m going to have a fresh start and I knew where I should start: the opening ceremony of my program. I’ll do my best because I know first impression matters and I want to make my participants feel comfortable and good about me”. The next day after his arrival ib Pitești, he took part at the opening ceremony of his program. At the ceremony, he and other trainers needed to give a performance that represented their countries or their cultures. “My head went crazy and I was so confused thinking what kind of performance should I do, that was also representative for Indonesia. I didn’t prepare anything. My country is so rich and diverse in terms of culture. I was really confused and I promised myself that I will make a good impression.” John explained. Nevertheless, as he wished, he got people’s attention by doing performance of Kecak dance, an Indonesian famous traditional dance from Bali. “When the closing ceremony finished, many people came to me to take selfies. It wasn’t only like 5-10 persons, but 30-40 persons. I took it as a compliment and a good start for my program and in my life,” John said with a smile. John explained that in every session he had with his participants he didn’t realize small acts he proposed had such an effect on the participants. “One of the many things that I really appreciated from my participants is the fact that they told me that I treated them like family, not just friends. Somehow, they realized that when someone just treated the others as friends, you won’t enjoy and appreciate this kind of program”. In every sessions John had with his participants, he asked them to start and end the sessions with hugs and always try to smile to each other. “There were many small things that I did, but I didn’t realize that those small things matter. For example, I always let my participants update their Facebook or Instagram story during the the sessions and I had an obligation that we needed to take selfies at the end. Actually, my intention with the selfies was like… this could be a good branding for me on social media,” John laughed. “I just wanted me and every participant to feel comfortable and enjoy every moment that we had. Even they said GROW it’s beyond just a program for them. They thought that this program was just to invite foreigners to get money from them and to draw attention, but actually it wasn’t like that,” John added. At the closing ceremony of the program, John’s feelings jumbled. He knew that he had built a strong bound with the students, but it was even deeper that he thought. “I was so emotional at the closing ceremony of the program. I knew I madea really good bound with my participants. They said that they had learnt a lot from me, while I was the one who also learnt a lot from them. They taught me how to be appreciated, loved and even realized a potential that I didn’t know I had in me. It was really hard for me to accept that it was almost the end,” John recalled. As John finished his last appearance at the ceremony, many people gave him applause, came to him, then hugged him and his mind was wondering what did he just do. It took some people’s words to make him realize that he was indeed making his program more that he expected. “I love my participants not only because they are my responsibility, but lso because I enjoyed doing that. Even one of the committees from AISEC said to me: John actually you just need to take your responsibility as a trainer here and that’s it, but you gave them more than you should have.” John said. “The trainer from Brazil also said to me: John, you have no idea what I think about you, what is my impression about you. I don’t know what you did during your sessions, but saw all those people and the way they hugged you. I feel that you just had done and gave something amazing to this program,” John continued. Photos: John Rorimpanday’s Facebook profile.